**** This post is not sponsored our team, The Color Jungle, paid for admission to the following event. 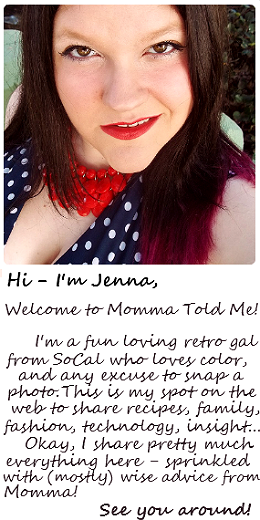 All photos contained below are copyright Momma Told Me Blog 2013. Momma Told Me: Do what makes you happy. 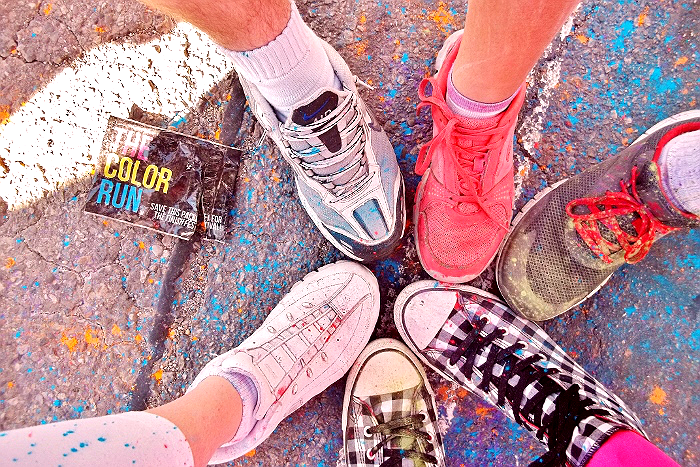 So you've decided to do a fun run- and not just any run The Color Run! 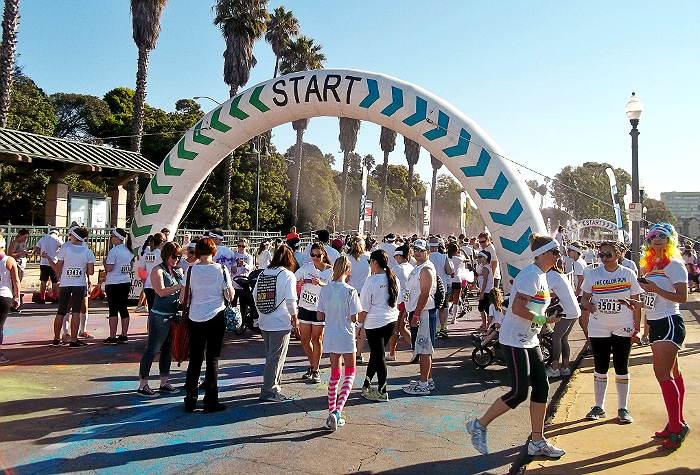 You may recall my overview of the dos-and-donts of The Color Run preparation in our first part of this series: Color Run Basics. The social media response was great, but those of you not connected to my personal social media accounts wanted to know where the 'after' pictures were. 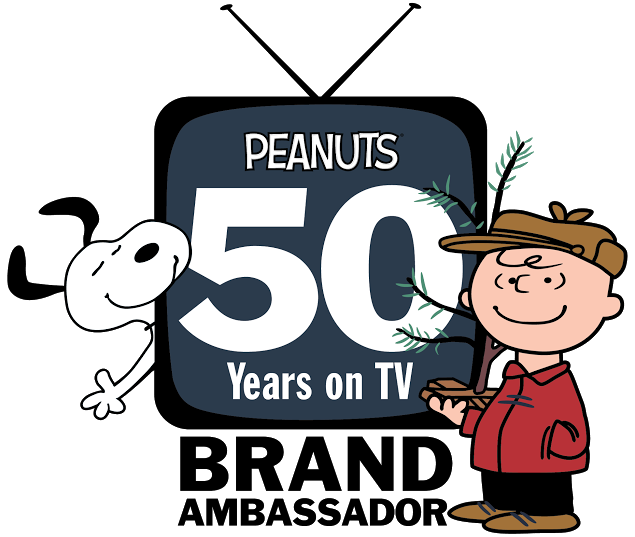 Slow down there, Charlie, we're just getting to the good stuff. 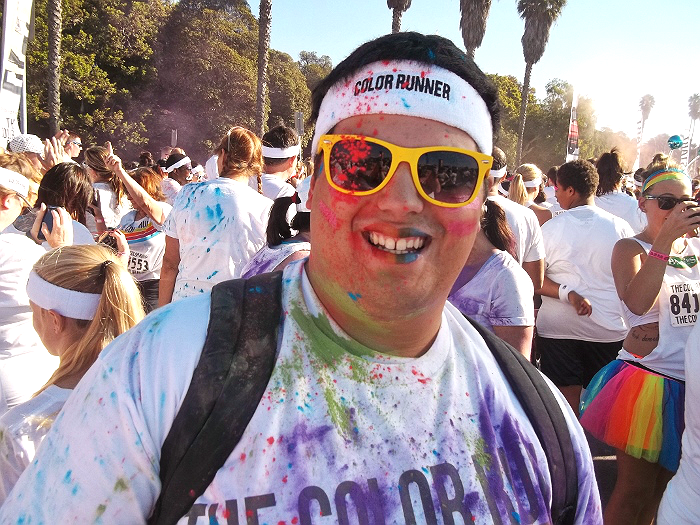 Today I'll walk you through the color run from a participant's point of view- starting point to finish line. But the event isn't over when you cross that finish line, that's then the After Party begins, and when you get to take all of those awesome photos of color explosions and rainbow clouds in front of the main stage. That, my friends, I've saved for the very last post. But fear not- there's plenty of color in ever aspect of this unique event, so tag along and get a top secret glimpse into the 'runners' shoes. Speaking of shoes; it seems common sense that one would wear comfortable athletic style shoes to an event where you will be walking/running a 5k (3 miles). I, personally, don't own any such shoes (I know, I know) so I chose to don my Sketcher high-tops with canvas uppers. While most modern running shoes have a mesh upper, they can be thrown in the washer and thoroughly cleaned with no fuss. Classic white tennis shoes though, may trap color in the laces and creases for weeks, or even permanently. Choose your footwear wisely, and keep in mind your socks will likely be permanently stained! Consider parking long before you leave your home. Our particular event was planned on the exact same day as a charity biking event that kicked off 30 minutes prior in the complex next door. It was madness. Not only was the freeway gridlocked, but the 'back roads' (which we took) yielded a 40 minute wait for less than a mile stretch of road. Do leave early enough to account for this, or allow for 'walking in' from parking further away. 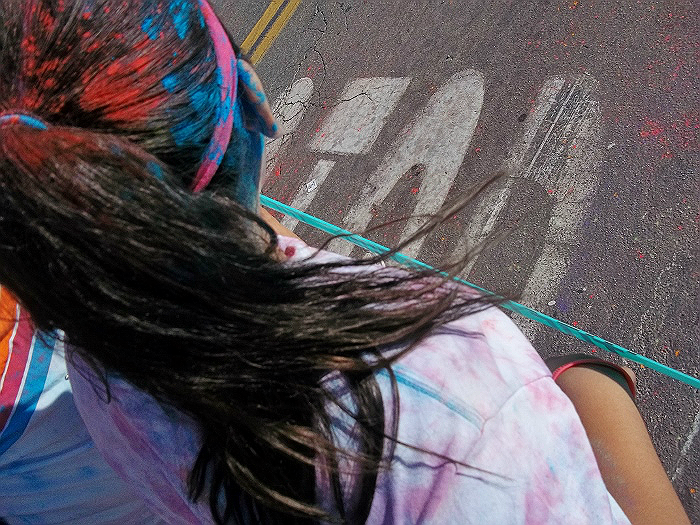 Many of The Color Run events go down a town's 'Main' St, which can further complicate parking. However, don't worry about being late- The event has two 'start times' (9/9:30), but the paperwork lists the start from 9-9:45. Regardless, there are at least 7 group starts, and you WILL almost assuredly be in one of them so long as your bum is there by 10. Speaking of the starts- There were 4 large, inflated, Start arches in our kick off coral, and about 4-500 people in each start group (estimate). Volunteers will hold blue 'Color Run' start ribbons to section off the groups, and walk you forward with each launch. When you get the the front there will be an event announcer to properly stretch the crowd and throw out promotional items such as fanny packs, yes fanny packs, and handkerchiefs. Our event also had a live band to kick off each start group, and plenty of media at the front of the line. Expect to be colored before you start the race- Every entrant is issued one colored corn starch packet, that is intended to be used at the After Party toss, where participants throw their color up in air at scheduled times. 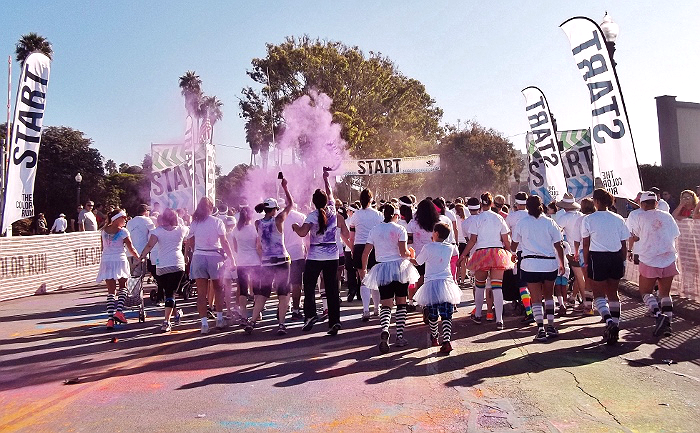 As it turns out, most of us are very impatient, I'd wager at least half of the runners spent their time in line tossing clouds of colored powder at one another. If a stranger colors you in the start corral just thank them; there's no sense in getting upset over your crisp white tee getting 'messed up' you're about to walk through color clouds (literally). Besides, it's this runner's personal opinion that it's much more fun to color your team and group prior to the kick off- it makes for a mush more artistic splatter :) I do, however, wish participants could pay a couple extra bucks at registration for a second color packet, or the option to choose their color. It seems some teams had only 1-2 colors, as the volunteers at the pre-race packet pick up (a Sport's Authority in our town) didn't seem to care. Okay, so you're ready for color- Even though I mentioned before that is is not a race; you will likely feel compelled to take off running, or at least in a sprint from the start. You really won't have much choice, it's what the crowd seems to will, so pace yourself and jog a few blocks then take team inventory. Remember, not all team members are equally athletic- Rule #2 of The Color Run (Rule #1 being 'Have Fun'), don't leave a runner behind. You will likely have to stop at various streets and intersections (for traffic and safety) anyway, so don't bother pushing yourself in a large crowd- you'll all meet up eventually when you wait for those lights! But how do you get 'colored'? Well, the event route map made available prior to the event for online download (which will not be handed out at the event) will show you your color zones. The color areas are supposed to be evenly set up ever 'K' with a water station in the middle. 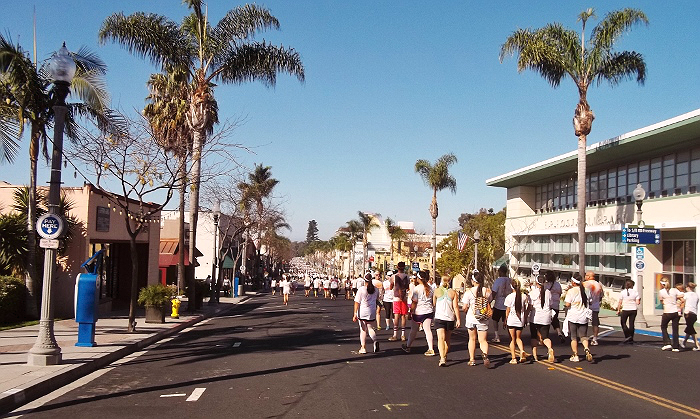 Because our Main St is so long, we had two color zone's close to the start, and 2 right by the end. I wish this had been planned more even, but what can you do? When approaching a color zone you'll see signs and a giant inflated arch matching the zone's color. There will be volunteers with giant squirt bottles and even tubs of color wearing shirts matching the zone's color. 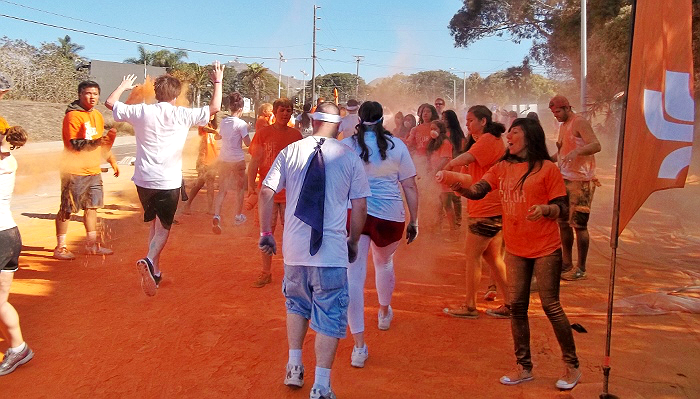 As you run, jog, or walk through, you'll be sprayed and doused in a giant cloud of colored corn starch. Remember to close your eyes and hold your breath (or wear protective eye gear and a paper mask). The color is food grade, but no one wants to inhale a big gulp of that color while walking 3 miles! Expect the floor to be covered in a half inch of color for a good 50"+. Here you see the least colored area of our walk, Main St, which was brilliantly protected from the mayhem by the city and planning officials. Unfortunately, for the Circle K and various antique stores along the way, there were numerous colored customers wandering in off the route for a break. There were also the inevitable color mishaps down the path, with explosions of color here and there. For the most part the crowd was very civilized and orderly. There was a water station at the very end of that white crowd, but this photo spot marked the official halfway, so we made a point to stop and take our group pictures. 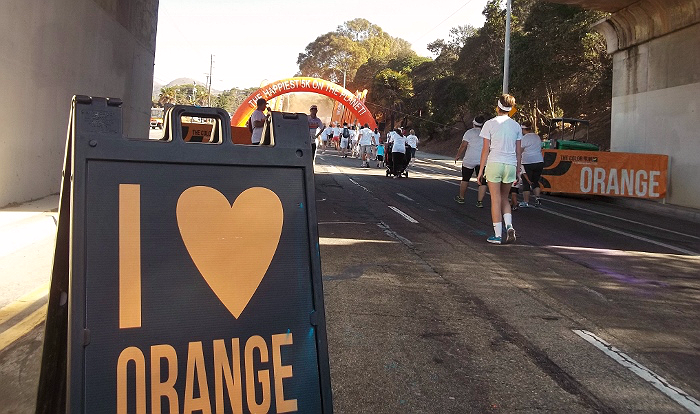 Don't feel bad about stopping to sip water, or take a photo- it's not an actual race; the color WILL wait for you. 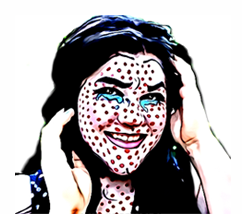 Just remember that you will be covered in color dust which might disrupt electronics. The end point seemed to be the largest color zone, Pink; and took us back onto our County fairgrounds where plastic tarps were laid out. Racers who wished to roll in the aftermath of the Pink station were permitted, so long as it was not on the tarped area. Above you see some participants making 'starch angels' at the end of the race. Okay, technically this was around the corner from the official Finish arch, but close enough. 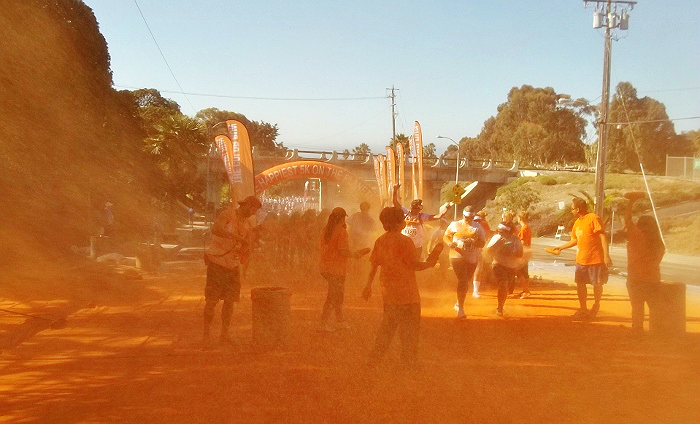 This was the most colored strip of the route, where volunteers were literally shoveling color from buckets to toss on runners. Below the photo you see a four legged friend tinted pink from finish cuddles. Pets are not allowed to walk the event, but they are welcome at the finish line! Stay tuned to see our Finish Line shots and the after party experience! What Daughter Says: There's nothing like a healthy walk and a good, old fashioned, color fight to put a huge smile on this girl's face! that does look like a lot of fun! 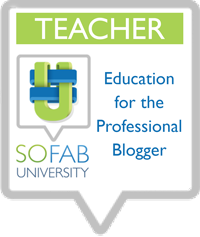 thanks for sharing your experience and the great tips! Wow that does look like a lot of fun but messy too! What a wonderful way to spend a day filled with friends and 'Color'. I enjoyed the pictures and learning about a color run. This is the best race event ever!! I had so much fun running it last week! Wow, since I hate messes, I think I'd freak but this sounds like you had fun! Great photos. I LOVE the dog! 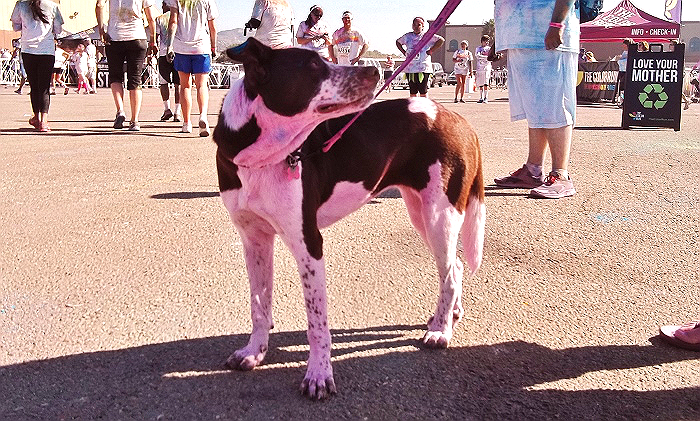 We have had a bunch of fun doing a local color run. 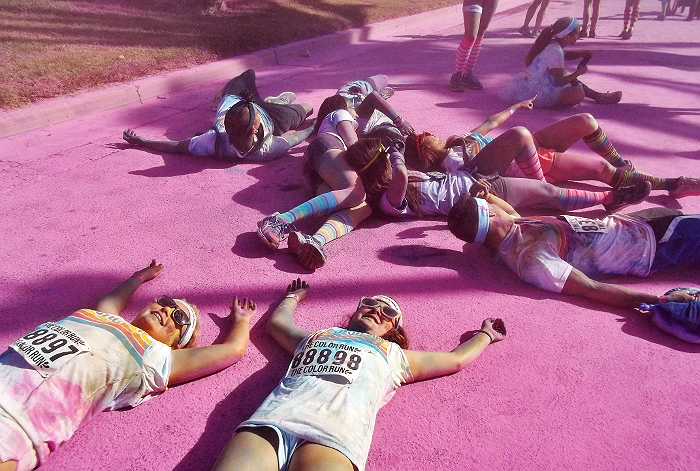 I've always wanted to see more about the color runs. My friends always do them, but I only ever see them afterwards, not actually what happens DURING. That is awesome! My husband really wants to do a color run but he always seems to have a big test for his engineering classes when they have the color runs in our area. It makes him so mad. My sister did the one in Chicago at the start of summer and then wanted to get in my car to come home, lol. I didn't understand how the "COLOR" actually happened and came into play. Thanks for showing us and explaining so well. this looks like it was such a fun time!